The ‘Novi Sad 2021 – European Capital of Culture’ Foundation has launched an open call in order to increase the capacities of cultural institutions on the territory of the city of Novi Sad and municipalities of Irig, Beočin and Sremski Karlovci by offering financial support for projects focused on audience development. Participation of citizens in public cultural life is one of the priorities of the ‘Novi Sad 2021’ Foundation and it is in accordance with the Strategy of Cultural Development of the City of Novi Sad for 2016-2026. In addition to the role of observers and creators in the cultural life, citizens also define the manner of cultural participation, so one of the most important tasks of cultural institutions is to identify their needs and wishes with regards to cultural content. The call is being financed by the funds that were allocated from the budget of the Autonomous Province of Vojvodina for the implementation of the European Capital of Culture project. 3. improving cooperation among cultural institutions, as well as between cultural institutions and citizen associations, NGOs, media, educational institutions and citizens in order to raise quality and accessibility of programmes for different social groups. 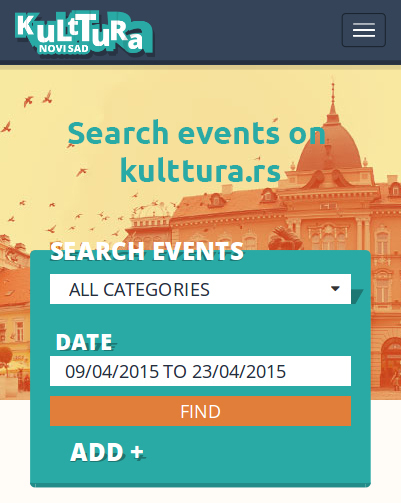 The ‘Public in Focus’ call supports various types of projects for audience development such as those that contribute to the participation of diverse audience in cultural institutions and increase visits of cultural events, projects where audience is actively participating in creation and implementation, as well as projects that encourage intercultural dialogue and development of intercultural competences of citizens. In addition to this, it supports projects that improve pedagogical, educational and animation programmes in institutions of culture, projects that rediscover and reshape the existing content from a different point of view. The goals of the call will also support the projects that are created and implemented by several cultural institutions from the territory of Novi Sad and Zone 021, projects that improve cooperation between cultural and non-governmental organisations, educational and media institutions, or cooperation between institutions of culture and citizen associations and independent cultural workers. In addition to this, the call supports the existing cultural events that are improved with the component of direct audience development. Project leaders can be cultural institutions at the territory of the city of Novi Sad, as well as Zone 021 (Sremski Karlovci, Beočin and Irig), while other organisations from the listed territories can participate as partners in a project. The maximum amount of co-financing for project ideas is 80% of the total value of the project. The call is opened by 2 April 2018 at 15h, and you can find more detailed information about the call in Serbian here.